A bumper sticker with the British Keep Calm and Carry On slogan from WWII works just fine in the USA even though we drive on the opposite side of the road from the British, Whether you are in traffic or on a country road, a Keep Calm and Carry On is a good reminder to have on your bumper. 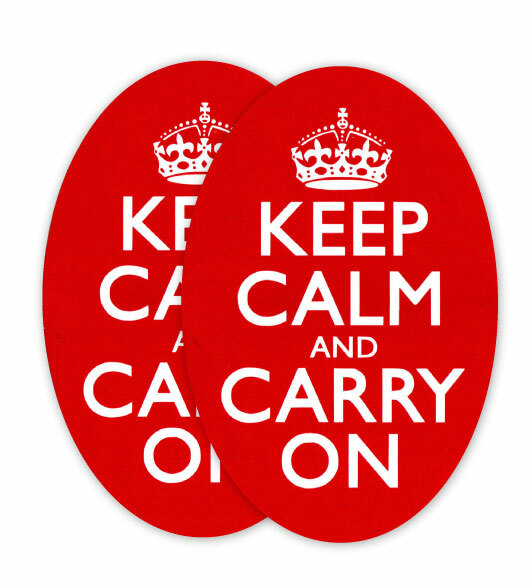 Think of these Keep Calm and Carry On bumper stickers as automotive decor with a message. Actually, Keep Calm and Carry On bumper stickers are more than automotive decor. They're a safety device. 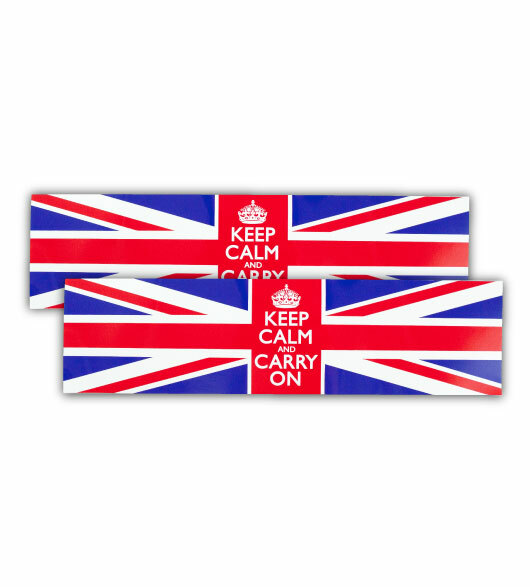 If you just love stickers, the Keep Calm and Carry On bumper sticker can go on other items too... Exclusively ours. A fun men's gift or women's gift. Our magnetic Keep Calm Union Jack bumper stickers are cool too. 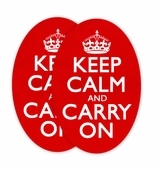 Set of 4 Oval Keep Calm and Carry On bumper stickers: $20, Dimensions: 6" H x 4" W.
Each product ordered comes with a History of Keep Calm and Carry On card.